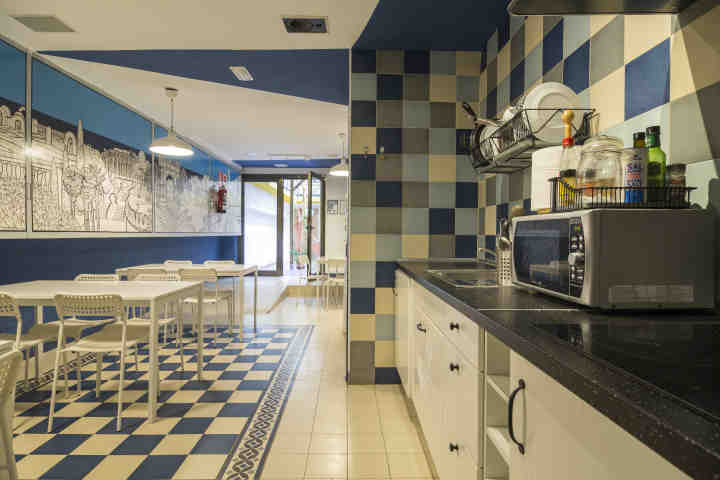 We are a hostel in Barcelona designed for a small number of guests. 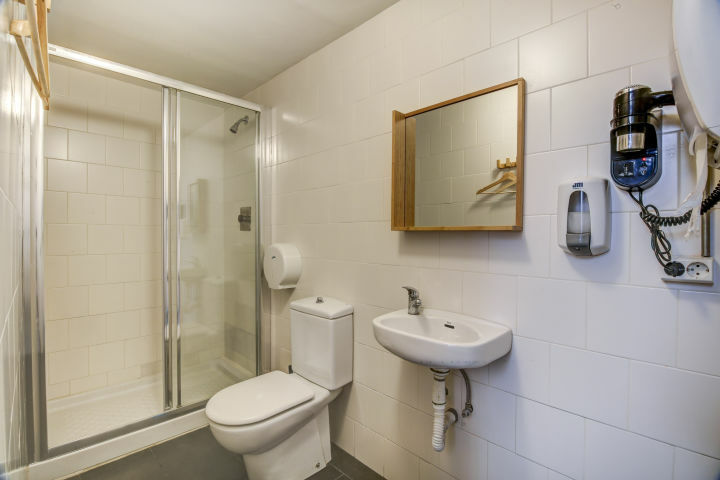 Personal treatment and homely and family atmosphere but with a lot of privacy in each of our rooms to ensure the correct rest of our travelers. 10 ou mais pessoas ? 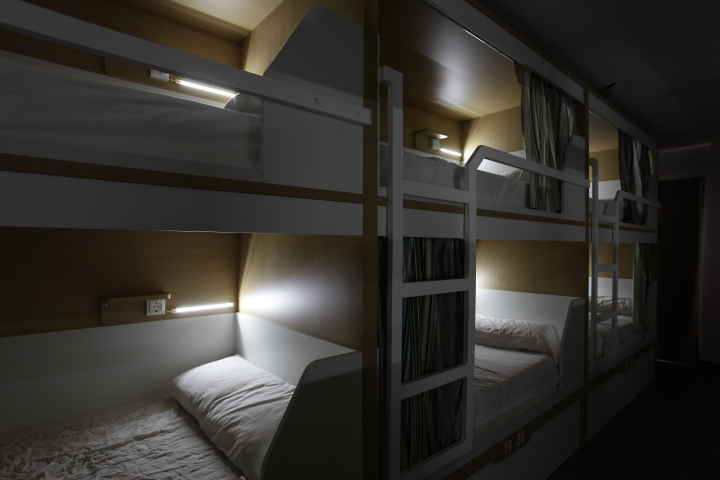 Factory House is a boutique hostel designed for a small number of guests, which is perfect for travellers who value a personal and homely environment.The hostel aims to offer a high-quality service, what starts in the dorms, with our personally designed bunk beds with curtain that provide privacy whenever our customers want. 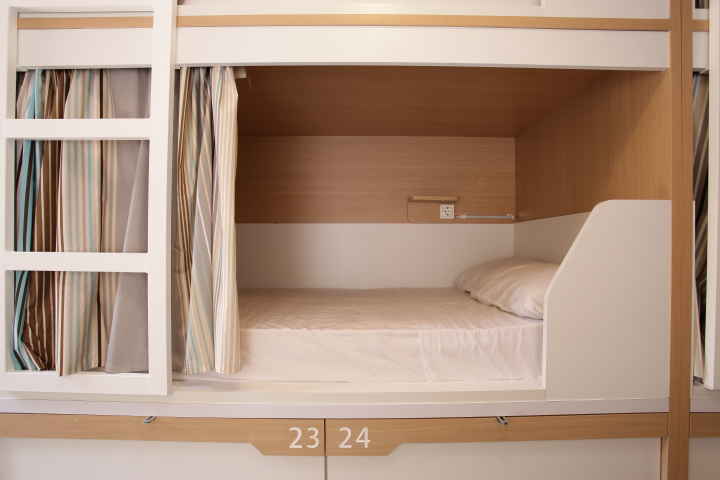 Each bed has an individual light, a power plug and a spacious locker. 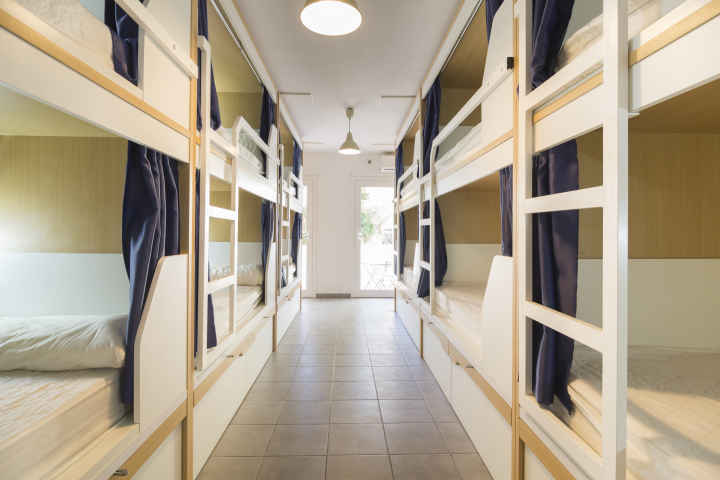 Heater and air conditioning is also provided in all our dorms. 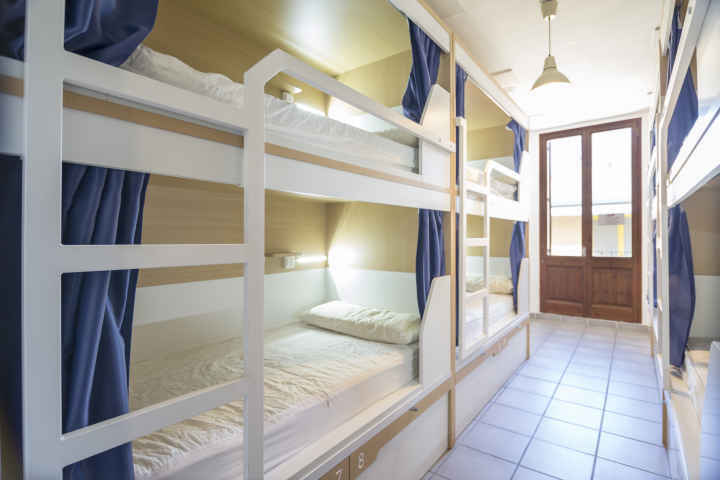 Our communal areas are where everybody can socialize in the hostel. 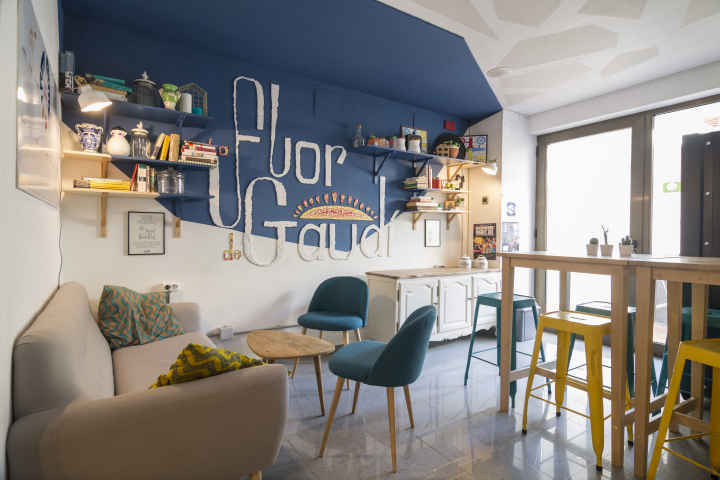 In our kitchen there is always people cooking and sharing experiences of Barcelona with others. You can also take our breakfast until 12 p.m., no hurries when you stay at Factory House hostel. All members of our local staff are delighted to advise our guests on itineraries, transport, restaurants and anything else they might require. Come to Factory House and love Barcelona. Chegada Noites Partida 10 hóspedes ou +? 10 hóspedes ou +? 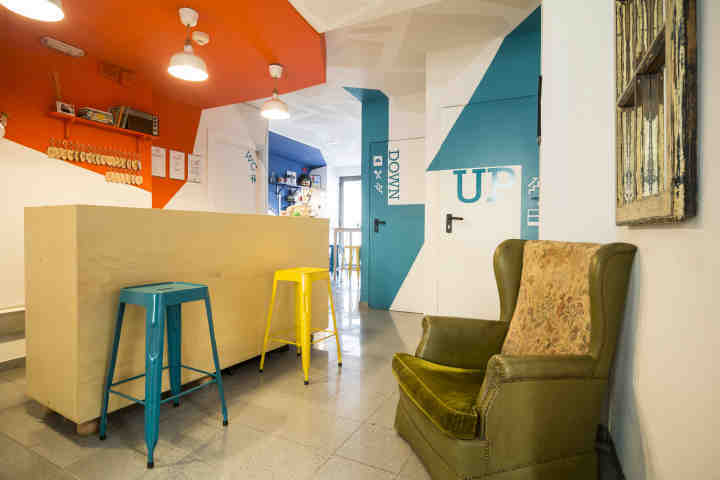 Imposto adicional de 0.75 EUR a ser pago no check-in. É necessário apresentar um documento oficial com foto no check in. Crianças menores de 17 devem estar acompanhadas por um dos pais ou responsável legal. Crianças desacompanhadas menores de 17 podem ser acomodadas apenas se for apresentada uma autorização legal dos pais ou responsável legal concedendo a permissão para a estadia da criança desacompanhada. Um desconto de 10 % sobre a tarifa indicada está disponível para os associados na chegada. Opções limitadas de pagamento se aplicam ao fazer o check-in no hostel. Não são permitidos animais de estimação no hostel. Apenas casais de ambos os sexos, podem ser acomodados em dormitório misto (co-ed). From Barcelona Airport-El Prat you can take the train in Terminal 2. The train takes you to Passeig de Gràcia station. In Passeig de Gracia Station you can take the green Metro line (L3) in the direction of Trinitat Nova and get off at Lesseps. Walk along Travessera de Dalt until you reach Carrer de l’Escorial Street (approximately 8 minutes just before the overpass) and turn left. 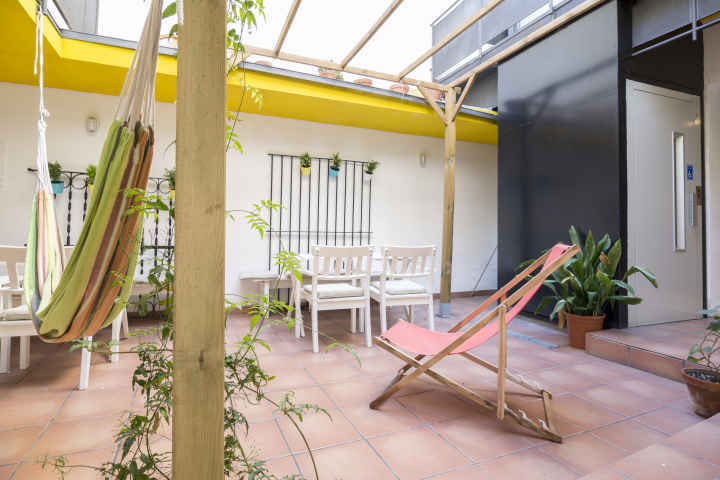 Continue straight ahead in Escorial Street for another minute and you will have arrived at the hostel. (Note that the street name changes from Carrer de l’Escorial to Carrer de Molist). The airport train station is located in Terminal 2 there is bus service between the two terminals. There is a train that takes you to Passeig de Gracia station. Departures every 30 minutes. ake the green metro line - which stops at Plaça Catalunya and Passeig de Gracia - towards Trinitat Nova and get off at Lesseps. Walk through Travessera de Dalt until you reach Carrer Escorial (8 minutes walking approximately just before the overpass) and turn left. 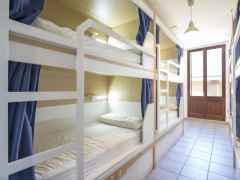 Continue straight on the Carrer de l'Escorial one minute and you will arrive at the Hostel. (Note: The name of the street changes from Escorial to Carrer de Molist).